Dog Training with Keen Dog Training d/b/a KEEN K9® we do our best to provide advice and guidance about training your keen dog. If attending classes is not convenient, we offer online keen dog training. Prior experience is not necessary. The truth about learning is that it never ends; instead it evolves. What you may currently think is the gold standard of training may one day be something you regret deeply. Dog training begins by building trust and engagement before new skills can be learned. Dogs learn by association and consequences. By offering high value treats, a favorite tug toy, praise, or anything that motivates your dog, will facilitate learning new skills. Play and mental stimulation are an important part of learning. We gauge productive play sessions by how motivated you and your dog are to do it again and again. The best way to measure how well your dog learns is through record keeping. If measures increase as your dog repeats the same task multiple times, you can be sure your dog is learning from previous experiences. Good job! Repeat again and again, while adding distractions, distance and duration. Always start with the lowest level of distraction. If working on down stays, be sure your dog is consistent without distractions before attempting the same skill with distractions. This includes adding dogs, balls, people, etc. Sometimes we are the distraction, so be careful about tipping off your dog by reaching for the treat prematurely, as well as other actions that may be distracting. If you think in terms of competing motivators and what your dog cares about and make it happen, your dog will develop a love for learning, and you will have developed a bond with your dog that will last a lifetime. 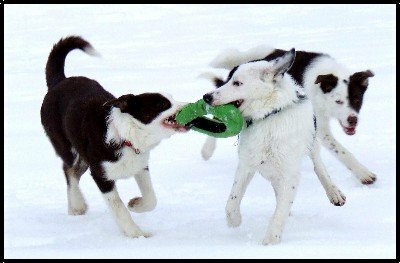 At Keen Dog Training – KEEN K9® we provide advice and guidance about training your keen dog. If attending classes is not convenient, we offer online training. Our program is designed for all levels. Prior experience is not necessary.